Dr. Gibson has over 20 years of experience. 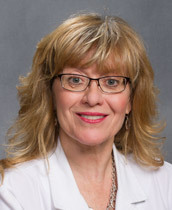 The President of Tri-County Medical Association, she received her medical degree from the James H. Quillen College of Medicine at East Tennessee State University. She is also the previous Chief of Staff at Northside Hospital. Growing up on a farm right down the road in the Sulpher Springs community, her passion for medicine initially drew her to becoming a veterinarian. However, she soon realized her calling was with helping and caring for the needs of people. When she is not providing medical care, Dr. Gibson enjoys being married and working together with her husband in the yard landscaping and gardening. If time permits, they enjoy their fair share of traveling and hiking.